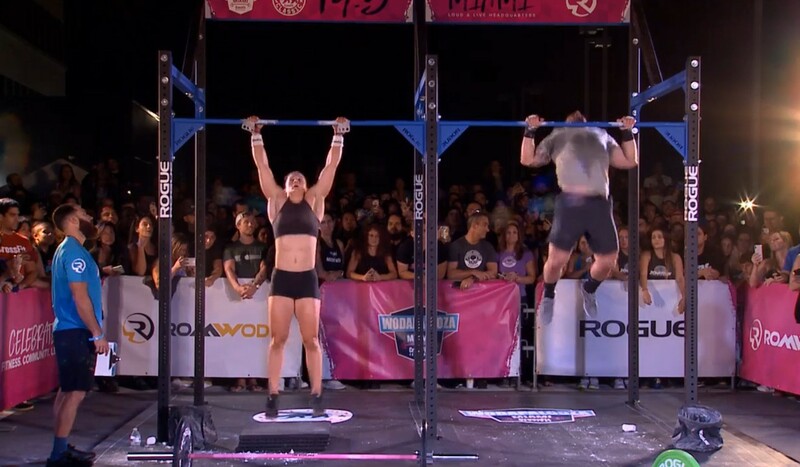 Tia-Clair Toomey (left) and Mat Fraser face-off in Miami. They’ve had the benefit of being training partners but for the first time we got a clear look at who would win a straight shoot-out between “Fittest on Earth” duo Mat Fraser and Tia-Clair Toomey. American Fraser is three-time defending men’s CrossFit Games champion; Australian Toomey is the two-time defending women’s champion. They share almost identical records at the Games – in their first four years in Madison, Wisconsin, they finished second, second, first and first, while Fraser also had a first place in his fifth year. Organisers decided to put that question to the test at the live announcement for the CrossFit Open’s 19.5 workout. But this was the first time they competed against each other – and Toomey came out hot to lead from the start. The 29-year-old didn’t look back and threw down the gauntlet to the rest of the men’s field, setting a time of six minutes and 53 seconds – good luck to anyone who wants to try and beat that. Toomey finished in 7:48, 55 seconds behind Fraser but still the fastest woman so far. She was more than two minutes ahead of the time set earlier on Thursday night in Miami by Brenda Castro (9:56), who beat Lea Schmidt (10:38) to win Mexico’s National Championship. It’s probably bad news for the pretenders to her throne, who were already struggling to keep up. “It’s definitely a huge positive, that’s for sure,” Toomey said. Fraser secured an invite to the 2019 CrossFit Games by winning the Dubai CrossFit Championship in December. But he’s cruising towards victory in the Open for good measure – he already had a healthy lead at the top of the standings heading into 19.5. 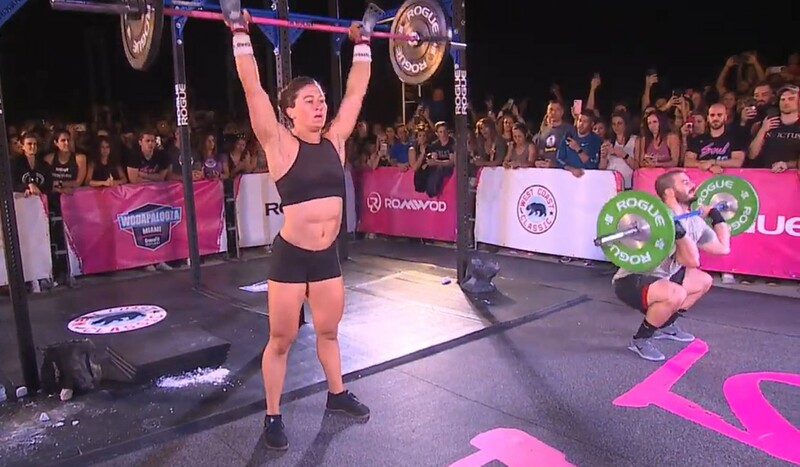 Toomey’s performance in 19.5 puts her up to eighth in the Open, but her place in Madison is already secure thanks to her victory at the Wodapalooza CrossFit Sanctional in Miami earlier this year. “I think I went out a little too hot actually,” Toomey said. “But I definitely stuck to the game plan. Maybe not towards the end, I was dropping off a little bit more ... sorry Shane! The top 20 male and female athletes in the Open qualify for the CrossFit Games, as well as each country’s national champion, and the winners of each “Sanctional” event.